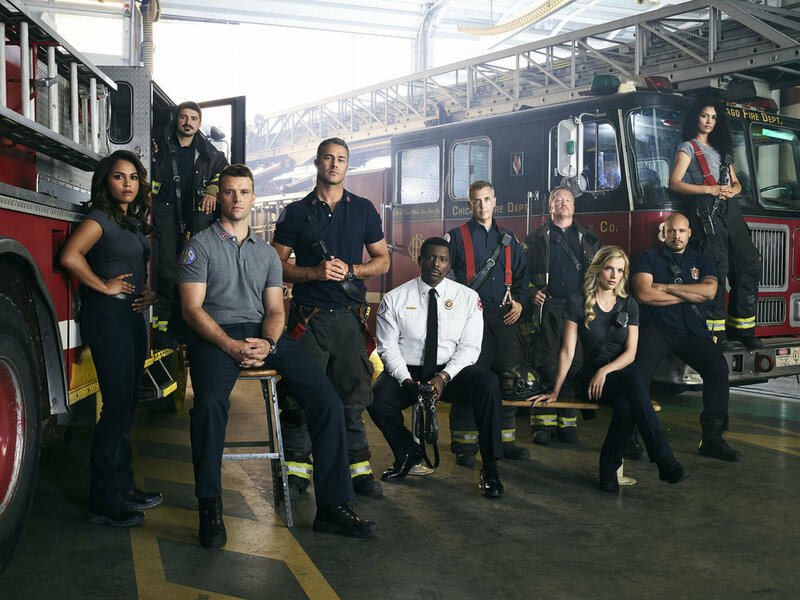 Chicago Fire returns on Sept. 28 for a sixth season, and a story-line that will see firehouse 51 dealing with the long-term collateral damage from the deadly warehouse fire. NBC teases that with most of the squad still trapped inside the burning warehouse fire, Chief Boden (Eamonn Walker) will make a risky last-minute decision in an effort to save his men. Meanwhile, Dawson (Monica Raymund) will continue to deal with her father (guest star Daniel Zacapa), who has new plans for himself, and Brett’s (Kara Killmer) childhood friend Hope’s (guest star Eloise Mumford) visit to the Windy City strikes the attention of someone within the firehouse! And while Kidd (Miranda Rae Mayo) goes head-to-head with her landlord, a fire at a high school hits close to home for Boden. The season 6 premiere “It Wasn’t Enough” hits screens on Thursday, September 28 (10:00-11:00 pm) on NBC. To see photos from the premiere GO HERE. Meanwhile, catch the latest cast pics directly below. Follow @ScreenSpy on Twitter | ScreenSpy on Facebook for more Chicago Fire scoop this season.